Today we will be talking about hair care. I have a lot of hair and have to wash/dry/style way more often than I care to. Having such long hair takes so much time to care for and it has become a chore that I wish I could avoid. The part that takes me over the edge is blow drying. It takes approximately 35-40 minutes to get my hair completely dry. Well thankfully I have a solution. I found the BEST blow dryer that has changed everything for me. The Hot Tools® Turbo IONIC® Dryer is perfect for anyone looking for something small, fast, and effective! This dryer is so powerful and brought my drying time from 35 minutes down to 10 minutes! That is a HUGE time saver and I no longer dread hair wash days. What makes it so great? This modern dryer with a narrow, European nozzle packs an impressive airflow with quiet operation. Its PRO-MOISTURE SYSTEM™ with ION TECHNOLOGY® is supplemented with Tourmaline to deliver a hydrating “spa treatment” for your hair — while fighting frizz and locking in moisture for supremely soft, manageable hair. The contemporary dryer also includes a concentrator with a narrow opening for precise drying. I am so impressed with how sleek and straight my hair comes out with no frizz. My younger daughter borrows it and loves how much drying time has been cut out for her. She has biracial hair and noticed how less poufy her hair was after drying. With the super compact design, this dryer is perfect for dorm rooms. I will warn you though, roommates will want to borrow it! You can find the Hot Tools® Turbo IONIC® Dryer at Ulta stores for $70. It is worth every penny if you are looking for professional quality at home. Not enough time on shampoo days? No problem! Simply wash and go in one easy step with Pert Plus Classic Clean. I know the guys benefit most with this type of product since they don't spend nearly as much time on hair like the ladies do. I absolutely love the clean scent and how soft it makes my hair. 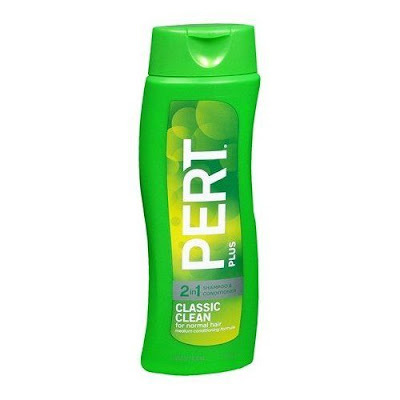 You can find Pert Plus at drugstores nationwide for around $3.39 (13.5oz), $5.49 (25.4oz). 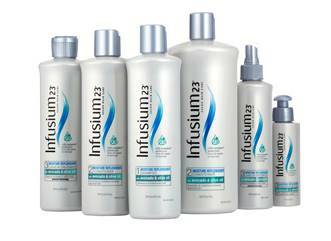 Designed for moisture-deprived hair, the Infusium 23 Moisture Replenisher Collection is perfect to replenish your hair as you leave the beach and head back to school (or the carpool line). It is formulated with an exclusive blend of avocado and olive oil to lock in moisture and enhance shine, restoring dry and sun damaged hair in preparation for the fall. A unique i-23 Complex, enriched with provitamins, antioxidants, proteins and amino acids, instantly transforms dry, damaged tresses into soft, healthy-looking, more manageable hair, making it an essential collection to keep in your shower caddy. The collection includes Shampoo, Conditioner and Leave-In Treatment. I received product samples to facilitate an honest review. All opinions are my own as always. I haven't seen Pert in forever, but that hair dryer is calling my name! Mine is several years old and it's time for a new one.